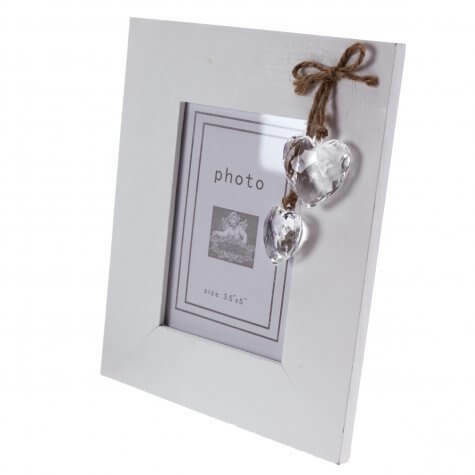 From protecting your wedding certificate or looking after your photos, right through to those cosy evenings when you re-live your wedding day by looking through a special box or tin of wedding keepsakes, it’s nice to have a suitable means of storage. 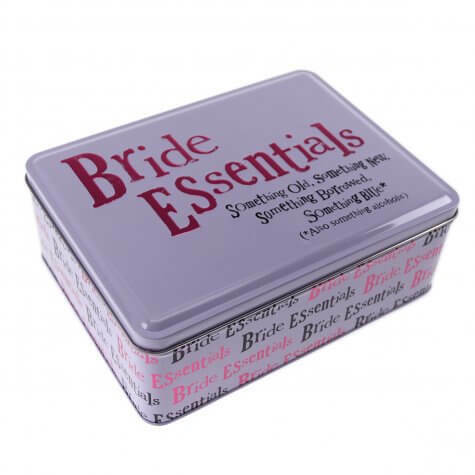 Our collection of wedding memory boxes include some lovely tins and boxes that offer a place to hold your wedding place settings, a few table diamonds from the table, cards, tags, letters, your wedding tiara and any other lovely memories from the day! Albums too for your treasured photographs. 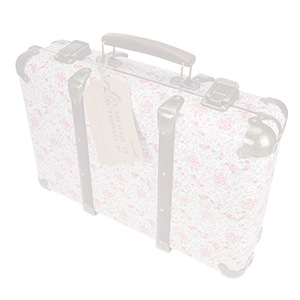 Our wedding memory boxes come in a variety of shapes with an eclectic mix of designs. Also make sure you never forget all that went into the planning and start a pretty decorative wedding planner that will remind you, in years to come, of that exciting time! 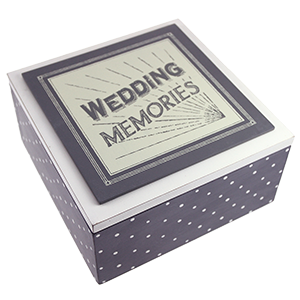 Months or years after a special occasion it's lovely to have a 'go-to' box, picture or album of memories, particularly for weddings! It might contain an invitation, a menu and place card, thank you letters you've received, pressed flowers from your bouquet, you're 'something blue', your wedding planner and perhaps a handful of confetti. This department gives you lots of suggestions and the means to organise everything so it's all to hand when you want to make a cup of tea, put your feet up and wander down memory lane!! 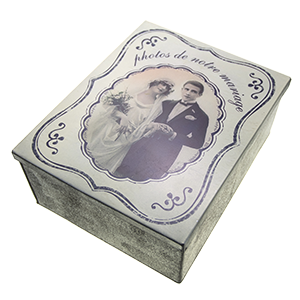 Make a keepsake box for yourself or a happy couple you love and fill with special things to remind them of their special wedding and what a wonderful day it was.